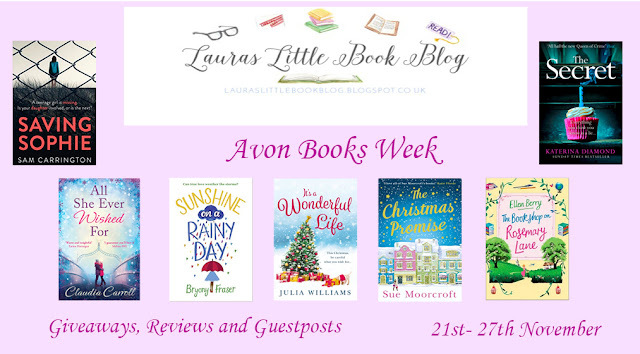 Hello everyone and welcome to the first day of Avon Books Week with Laura's little book blog. This week is filled with guesposts, reviews and giveaways, so hope you enjoy. Today though we have Sam Carrington who is author of Saving Sophie. Sam has written a brilliant piece on My Top Books to Read on a Dark Winter's Night. I also have my review of Saving Sophie and there's a chance to win a copy. There’s nothing quite like snuggling up on the sofa with a good book. Even better when it’s a cold, wintry night – adding further atmosphere to a creepy read or some extra chills to a thriller. I’ve come up with a list of five novels I’d recommend for the winter months ahead. I finished reading this book very early one dark morning, the wind whistling down the chimney, the rain pelting against the window. It was brilliant! Couldn’t have asked for better weather conditions to accompany me in this creepy journey. Following the death of one of their twin girls, a family move to an isolated house on a tiny Scottish island. But being trapped with an extremely unsettling twin – whose identity might be the one who lived, or the one who died, we’re not sure – was chilling! A tense, haunting story that left me with goose bumps. Again, the claustrophobic atmosphere created in this novel is perfect. 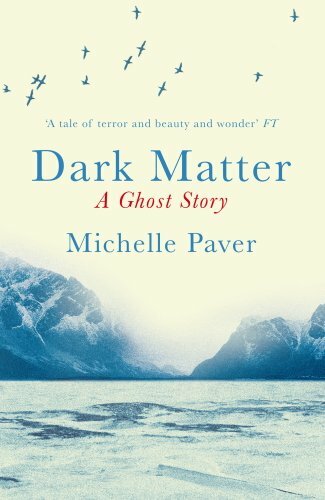 An old-fashioned ghost story and told through journal entries, this haunting tale is set in 1937 in the deep arctic and follows Jack on an expedition. But, one by one, his companions leave, until he’s left alone in the endless dark of winter. The journal entries get more and more disturbing; his terror becomes ours. Is it cabin fever, or is there really something outside in the darkness? One to cause shudders! Now, who doesn’t like a good haunting? The opening chapter drew me right in, and by the end of it I was stunned - the ‘oh, wow, wasn’t expecting that!’ reaction remained for a while. 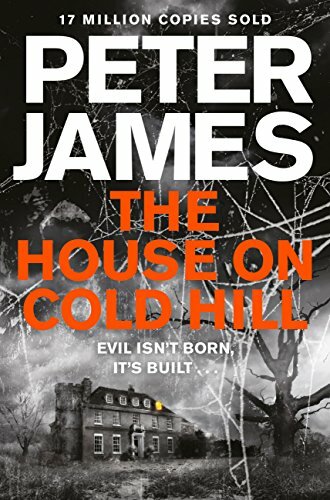 A few days after moving from town to countryside, the Harcourt family realise they are not the only occupants of Cold Hill House. Hauntings that become more malevolent and a house that has a dark history makes this novel perfect for a cold evening. I love the creepiness of the writing – the way it caused me to literally go cold at some points and left my mouth gaping! Great stuff. Another isolated house and terrible weather conditions create a tense read in Elizabeth’s latest novel. Widowed Sarah lives with just her two dogs – her children having left for university. To help financially, she rents the cottage in her grounds to the mysterious Aiden – an old acquaintance who turns up and needs temporary accommodation. They rekindle their old relationship and Sarah feels happier than she has for a while – but is Aiden all he seems? With Will, an old friend of her son’s, also making regular appearances to check up on Sarah, we are left questioning the motives of both men. And when Sarah’s best friend goes missing, things take a dramatic turn. 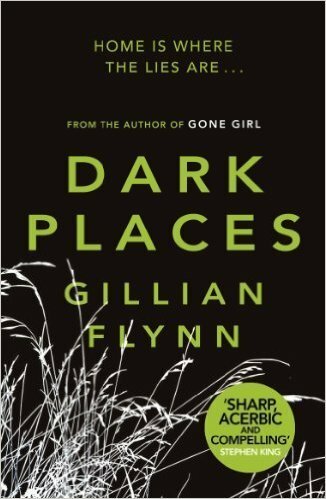 Although I enjoyed Gillian’s Gone Girl, this novel had more of an edge for me. Libby was seven when her mother and two sisters were murdered in their house in what appeared to be a satanic sacrifice. Survivor Libby testified that her 15-year-old brother, Ben, was the killer. Twenty-five years on, Libby is contacted by the Kill Club – a secret society obsessed with notorious crimes, who believe Ben is innocent. And so, a search for the truth of what happened that tragic night, begins. The horrific deaths of members of Libby’s family, the slow reveal of who, why and how, make this a truly unsettling story. Some brilliant recommendations there from Sam. 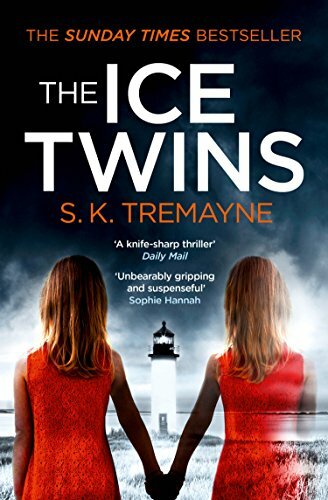 I have been meaning to read The Ice Twins for ages. Now on to my review of Sam's very own thriller. Saving Sophie was one of those books that I was desperate to read. It sounded so intriguing and the opening setting is sure to make you read on. When Karen's daughter Sophie arrives back from a night out, she is accompanied by the police and is very drunk and disorientated. Karen doesn't understand how she ended up by herself and what is even more worrying is that Sophie can't seem to remember how she got in such a state.Then twelve hours later, the body of a woman is found. Karen is convinced that Sophie knows something and the more convinced she becomes, the more she thinks Sophie is in danger. What was also immersed me in this was Karen's struggle with agoraphobia and how inhibiting it was for her and her need to find out what had happened that night. It is hinted throughout that this struggle had been caused by an nasty event in Karen's life and I really felt for her, whereas closer to home her husband and daughter had no patience for her. It really came across just how crippling this type of phobia is. 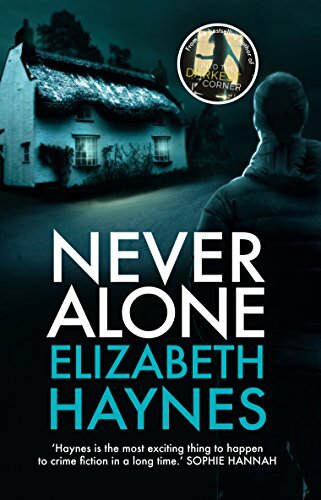 Claustrophobic setting, frustrating some quite dislikeable and hostile characters, this was a brilliant thriller to keep you on your toes and whizzing through to the end. The short chapters and different character viewpoints drive this story on, with each chapter continuously leaving you wanting more. There was only one small thing that I had a little bugbear over and that was how long the police took to look into something. I don't think they would have waited that long in a real situation, but this was only a small thing. This was so cleverly constructed as so much happens and there are more twists than I can count on one hand. I could not have guessed the outcome at all and the very last bit was an interesting development! Addictive, compelling and a book to very much keep you on your toes. Some great choices there, I've read 2 of them already. Would love to win a copy of Saving Sophie, have heard such good things. Saving Sophie sounds like a gripping read that I'd very much enjoy reading. Looks a brilliant read - never read anything from Sam Carrington before. Sounds captivating. Just my kind of book. I've never read anything by Sam Carrington before and it sounds like a gripping read.